Are you looking for a way to merge elegance and comfort? Where fashion is concerned, there always is something for someone. 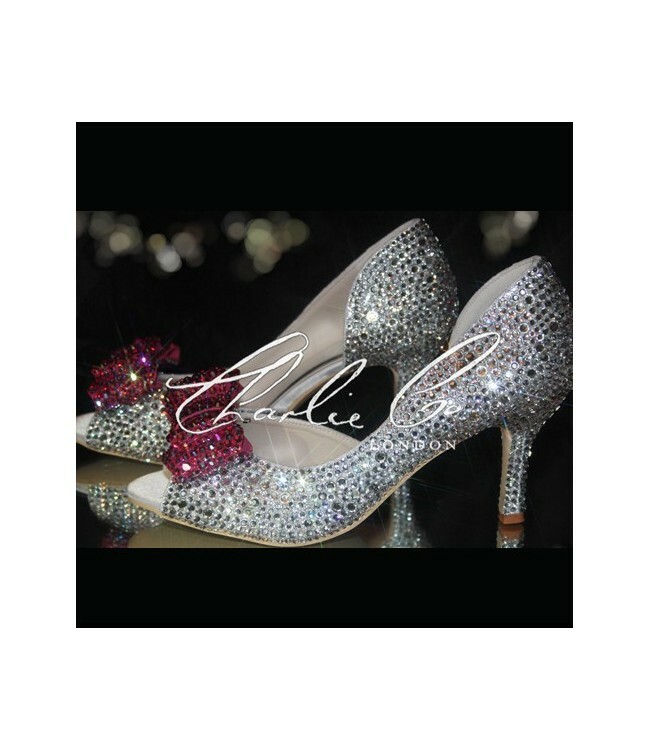 This Crystal bow cut away heels are designed with a low heel for comfort yet still add a few cm to your height. 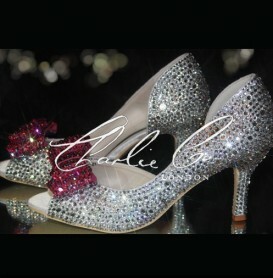 The shoe is bedazzled with Swarovski glass crystals which cover the entire surface of the shoe. The side and front peep view are not only stylish but also facilitate proper ventilation of your feet. 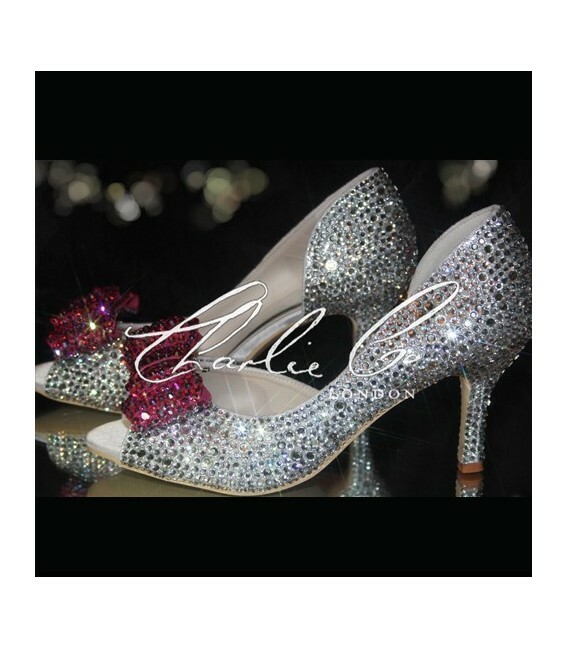 At the front part of the shoe is a fuschia glass crystal bow that blends in with the white perfectly. This little piece of eye candy will bring out your feminine side in a unique way.